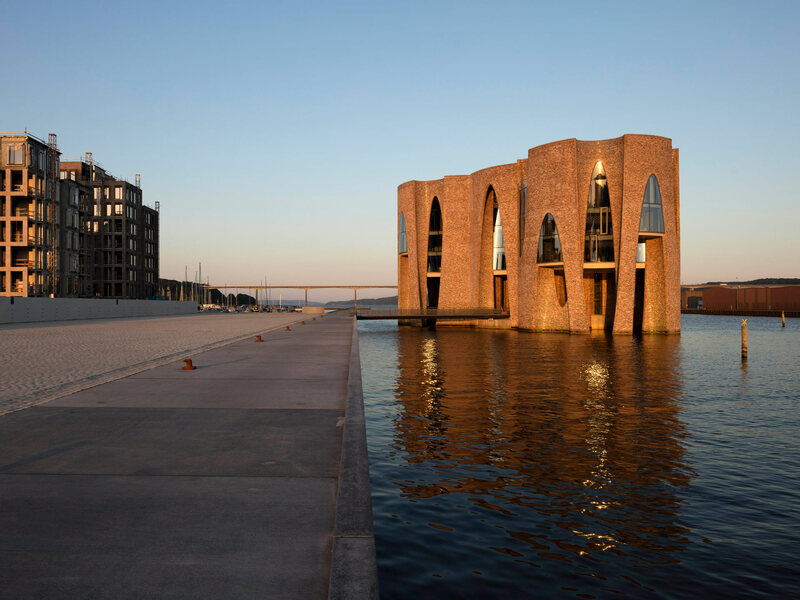 The headquarters of the Danish investment firm Kirk Kapital A/S in the port city of Vejle (Jutland) juts directly out of the sea. 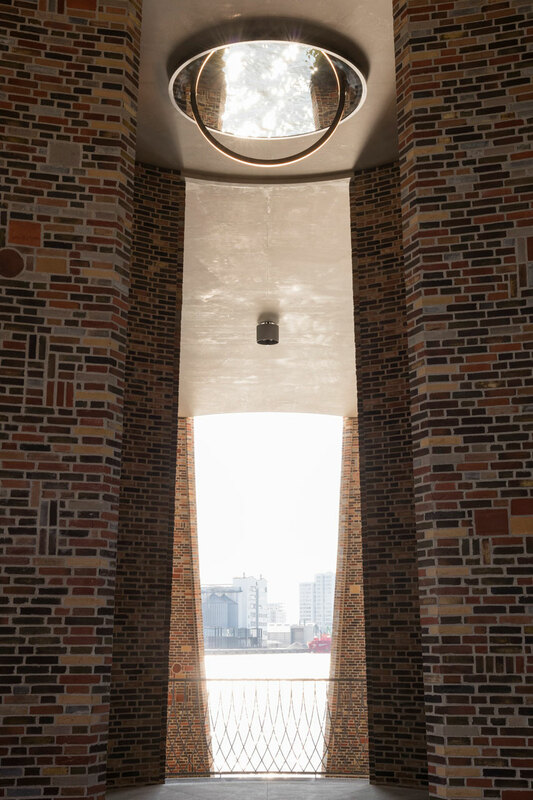 The vision of “living and working around the harbor and water” inspired the artist to create a generous visual connection to the environment and to integrate a public space accessible to everyone. 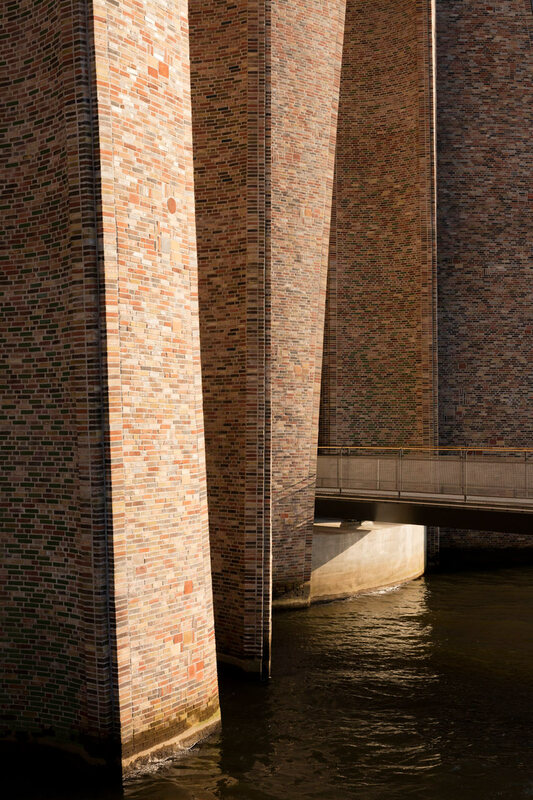 The company occupies the upper floors, while the lower area features a café and a gallery, accessible via a footbridge between the port island Havneøen and the building. The roof of the "Fjordenhus" (28m / 92ft high) is landscaped and has PV modules as well as a terrace. 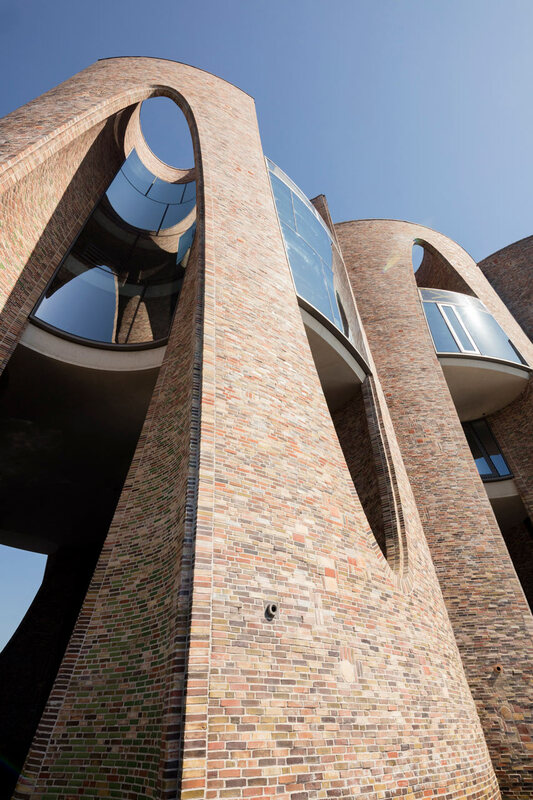 The four cylinders of the building feature distinct geometrical cavities: round at one end and elliptical at the other, even with partly glazed, arched openings. 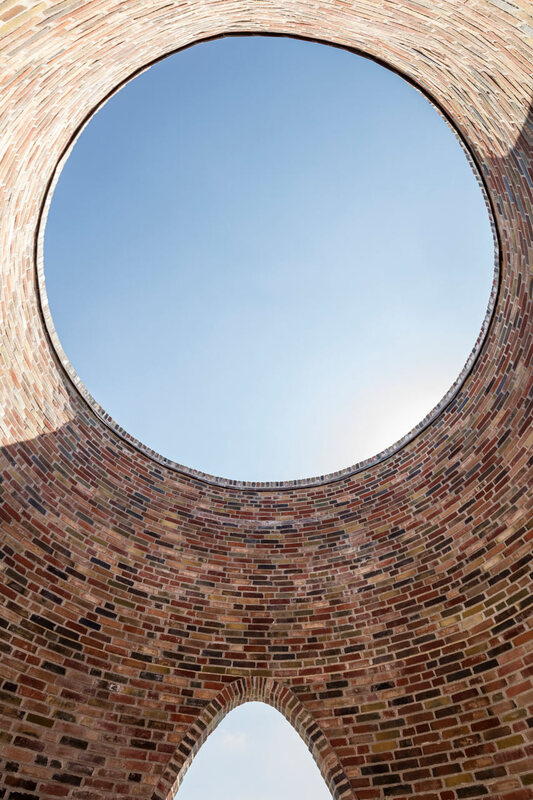 At its core lies a concrete structure covered with 970,000 bricks on the inside and outside, both unglazed and glazed, in different shades and combinations. 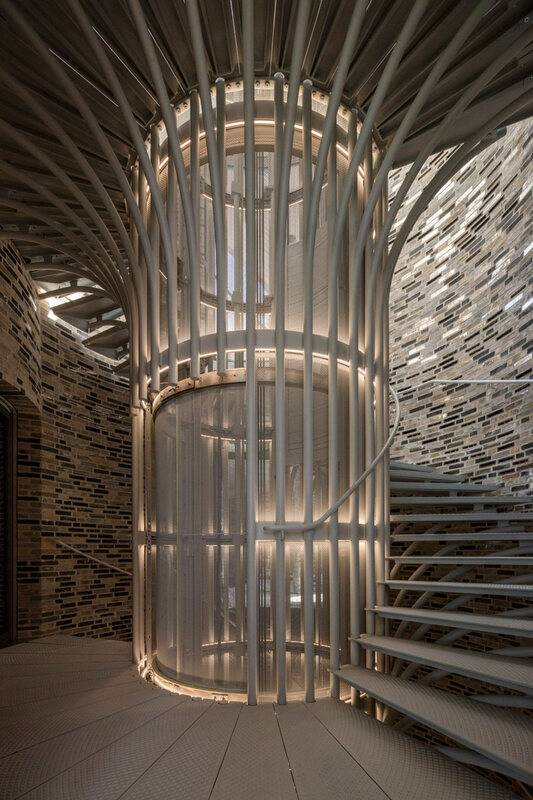 To regulate sound and temperature, hollow ventilation stones were integrated into the interior facades. 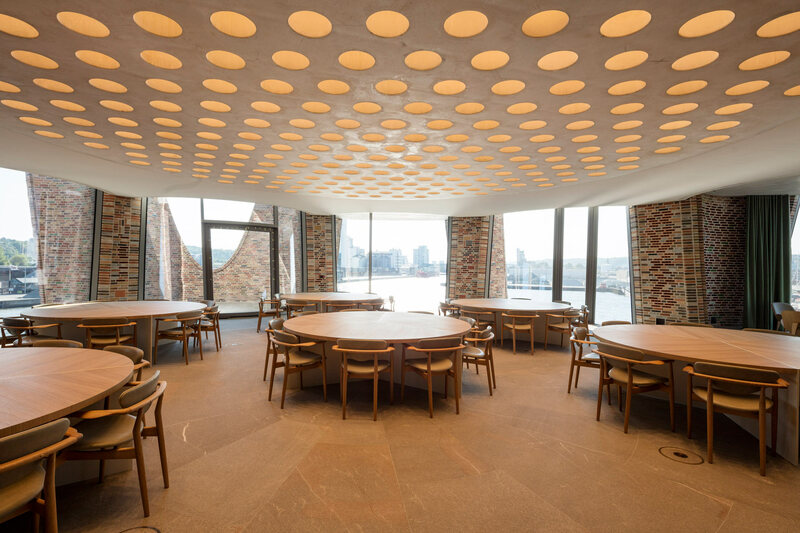 The building in the Fjord contains office space for all three directors and their staff, plus rooms for meetings, conferences and a dining room. Particular attention was paid to lighting. When LEDs are lit up at night, the building appears like a lighthouse; in addition, there are exterior lights under water. 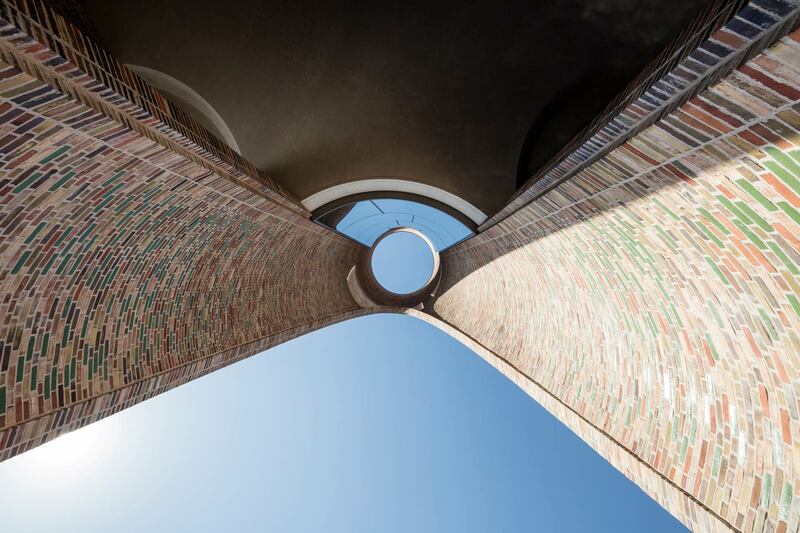 With defined energetic goals in mind, Transsolar calculated the consequences for CO2 emissions (including gray energy of the bricks), supported the design of the atmospheric layout and ensured thermal, visual and acoustic comfort. The performance of floor to ceiling windows was optimized for cold air waste, thermal behavior in winter and the properties in summer with regard to self-shading through the cutouts in the facade. 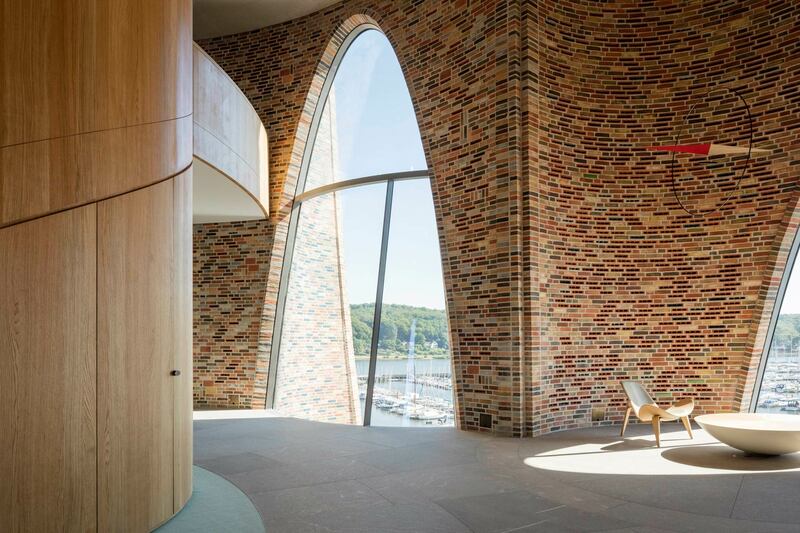 The design of the natural ventilation, sophisticated in soundproofing and air quality in the harbor, was developed in iterations just as the daylight illuminations. Curtains with selected visual and thermal properties offer protection from the sun as well as privacy, but always allow for a visual connection to the outside. 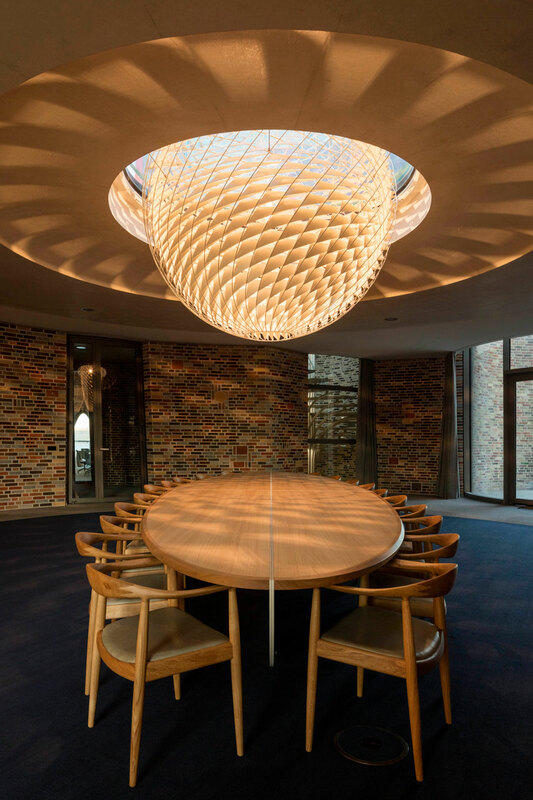 Radiant heat/cold were integrated in the acoustic ceiling construction with lighting technology. The component activation releases interesting energetic potentials because of its efficient connection to the groundwater heat pump system in the fjord.